This week, NYC psychotherapist and My Wellbeing member David Horne helps us to better understand what group therapy is, what a group therapy session might be and feel like, and who group therapy can be helpful for. 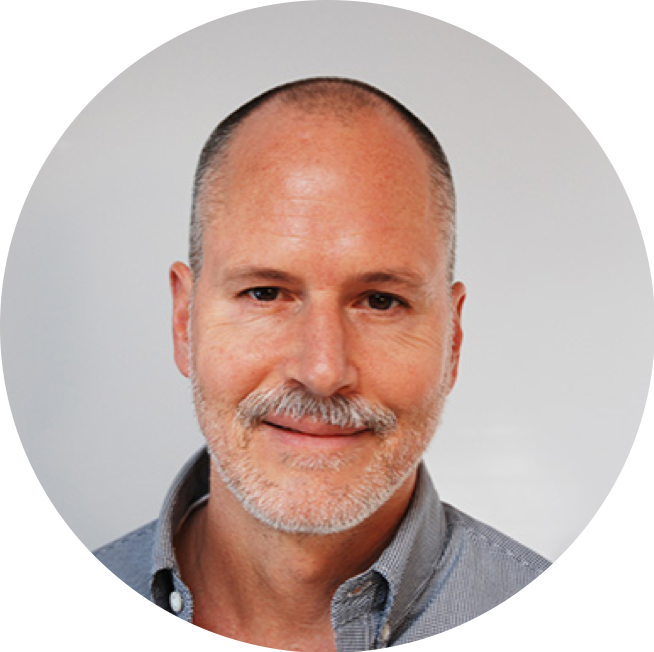 About the Author: David Horne is a psychotherapist working in private practice in New York City. He helps individuals, couples and groups to increase their awareness of themselves, how they function in their respective environments and relationships, and how to use this awareness to move forward and grow. Other interests include things not mediated by smartphones, and a newly discovered enthusiasm for the aliveness and creative, confrontational energy of contemporary poets. I currently facilitate a bereavement group, have been a member of various types and sizes of Gestalt process groups, and participated in a 12-step group. I’m a big fan of group work and was excited to talk about it with a larger audience. However, when I sat down to start writing, I realized that “What is group therapy?” was way too big for me to address on my own, let alone in a way that communicated my excitement and enthusiasm for what I have learned and the growth that I have observed and experienced in a group therapy setting. Therefore, for those looking for a more objective definition of group therapy, I refer you to the masterwork on group therapy, Dr. Irvin D. Yalom’s The Theory and Practice of Group Psychotherapy, written with an engaging and highly readable authorial voice. Still, 500+ pages is a big commitment. A quicker read would be Wikipedia: https://en.wikipedia.org/wiki/Group_psychotherapy, which summarizes the therapeutic factors in group process that Yalom identified, and which constitute a cornerstone on which much of contemporary group theory and practice is based. What Does Group Therapy Mean to Me? My own subjective definition of group therapy is a time on my weekly calendar that is designated for emotional experiencing, risk-taking, and growth. More than individual therapy, I think that group provides a unique opportunity to experiment with allowing ourselves to see and be seen by others. Doing that in an honest and thoughtful way requires sharing and exposure of parts of ourselves that we may not feel comfortable with, and to do that with a group can be very intimidating. It can also be uniquely illuminating and cathartic. I think it is absolutely fascinating to participate in/observe my own or another member’s process, in all our complexity. A lot of what I have discovered in group has been through observation of my own reactions - thoughts and feelings - to what other members share. Noticing my judgements and impulses, relating, or realizing that how another member experiences and/or interprets a situation may be radically different from my own reaction, allows me to observe my own experience from a slightly different vantage point. That is different than my experience in individual therapy. Sometimes the new information comes from direct feedback, when another member tells me how I have impacted them in the group. Sometimes that feedback is surprising or hard to hear, oftentimes it is interesting, and at other times, it feels really nice. With more members, and with the mandate to focus on what is happening in the moment, both within ourselves and between each other, group therapy is dynamic. Everyone is providing material for the group to work with. Sometimes we all join on one thing that everyone relates to. Sometimes the focus is on something happening in a subgroup. Occasionally the focus is on what is not happening between us and what is going on with that. One thing I really appreciate about group therapy is the way it cuts right to the heart of where everything starts. The family! You have a bunch of people in a room with an authority figure, and you all have to deal with each other. Roles, rules, expectations, it all comes to the surface. What Does Group Therapy Really Look Like? So far, I have done a lot of describing what I like about group therapy. But I’m not sure that it is helpful for someone who is considering a group, and whose model for group, like my own, comes from some crazy stuff that I have seen in movies and on TV. What if I treated this piece as if it was happening in the context of a process group? If this post was a group experience, I would share my concern that I am either boring everyone or else taking up way too much time and space, either way, feeling self conscious. I would acknowledge that I am going back and forth between being real and spontaneous, and wondering if I seem too narcissistic, am asking for too much attention. At which point, the facilitator or other group member may ask me to say more about that - my desire to be fun and engaging, fear that I am boring or offensive or want approval, use of humor, how I think other people in the group experience me, etc. In responding to the facilitator’s interest, I would have a chance to see what comes up in terms of feelings (exposed! ), ideas, sensations in my body, if any, and to describe that to the group. The facilitator might ask if I am comfortable hearing from other members how they are, actually, experiencing me. And their reactions to me, and my reactions to them, and what it is like to communicate that material for each individual would be explored and processed. Someone might share their own experience, trying to decide if it was ok to share that they thought I was taking up too much space and that they felt excluded. That would elicit a response/feelings (not fair! defensive! ashamed!) from me. Maybe another member feels protective or supportive of me in taking a risk. That would elicit a different response/feelings from me. I could share that, and what it is like to have/tolerate those feelings - and maybe that I am thinking of something in my family, childhood or some other context. I may have to sit with all that because the group may have engaged with what is coming up for another member. In that case, my attention may remain on what I just experienced, or it may shift to what is happening in the group. Regardless, the task is to pay attention and to notice. The above illustrates how undramatic a lot of group work is. Showing up every week and getting down to business with the other members of the group is something that I look forward to. If individual therapy has been a way for me to get to know myself better, then group has been where I have discovered myself in the context of and in relation to other humans. Who is Group Therapy Good For? But seriously, group is great at addressing how one is in relation to other people - family, intimate relationships, friendships, etc. It’s also great for people who are feeling stuck or isolated, or sensing that they could use some support in learning more about themselves, managing life and/or moving forward. So I guess that is pretty much everyone. How Can You Find a Group? Finding a group, like finding an individual therapist, is easier said than done. Training institutes like The Washington Square Institute and The William Alanson White Institute offer group therapy. Resources like My Wellbeing are also a good place to start! Regardless of how you find your group, it’s important that you feel comfortable with the facilitator. Schedule an introductory interview. Ask the facilitator what you should know about their group, including their background/theoretical approach, group norms, if the group has a specific population, whether it is open or closed enrollment, attendance policy, etc. Be prepared to explain what you are looking for in group therapy and your own history, if any, in group or individual therapy. Know that it’s normal for this to feel weird. Reward yourself for taking the risk and exploring something new. Thank you, David, for sharing your perspective and experience with us today. Group therapy can be tremendously helpful for many people, either on its own, or as a supplement to individual therapy. If you have further questions about finding a group that is right for you, we’re happy to help. Please contact Kayla and kayla@mywellbeing.com.